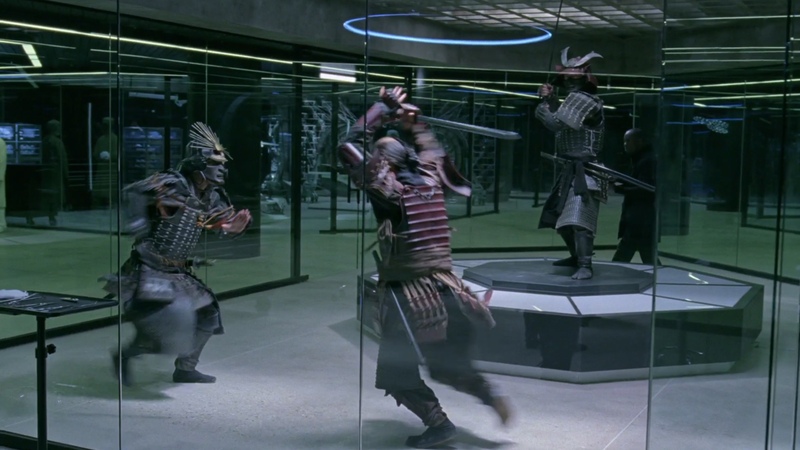 One of the most surprising – not to mention exciting – reveals in Westworld‘s season finale was the introduction of Samuraiworld’s various Imperial Japanese hosts, training for their sword combat just as Westworld’s androids practice poker and gunslinging (usually in that order, too). It was an absolutely giddy moment, a small little bit of foreshadowing to whet the fan’s appetite for what was to come in the second season (and beyond!) just as the finale was busy wrapping up a number of plot threads from the first. Or, at least, that’s what we thought. It turns out that’s not necessarily the case – at all. 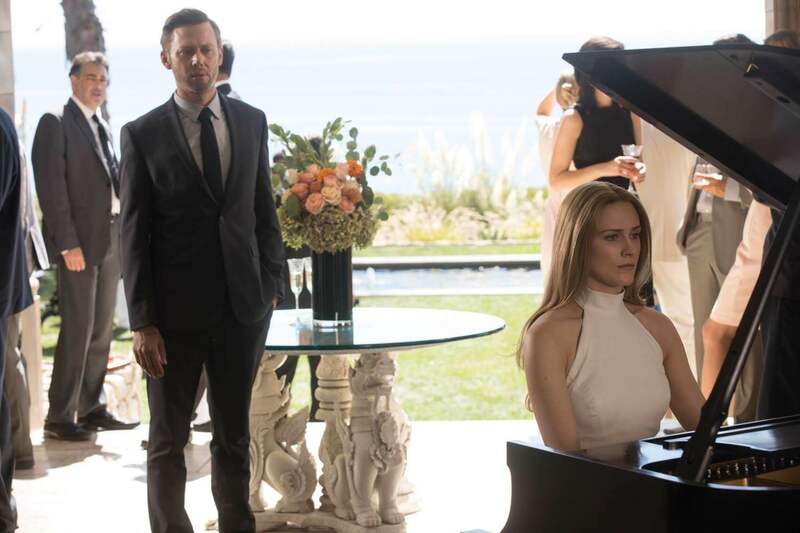 The commercialization of Westworld – “We […] wanted to articulate the distinction between what the park was when it started 35 years ago and what it’s changed into.” This is no doubt from the influence of the Delos company, which William (Jimmi Simpson/Ed Harris) and his in-laws’ family decided to make the primary shareholder of Westworld, and its demands on seeing a return on its considerable investment. It also undermines Dr. Robert Ford’s (Anthony Hopkins) influence over his own creation, making it a nice counterbalance to the omnipotent, omnipresent divine presence that Ford is presented as throughout the show’s first season. Character development – This is also “the almost obscene moment in which Maeve [Thandie Newton], who thought she understood the totality of the artificial world she’s in, suddenly realizes she’s part of a franchise.” It’s critically important that a character who comes to believe she knows or understands everything about the cosmological order of things be stripped of this certainty; not only is it a tradition in Western literature, it’s also the basis for explosive character growth – humans (or, apparently, hosts) only are motivated to change when the world has been pulled out from under them. Expect big things from Madam Maeve next year, then. 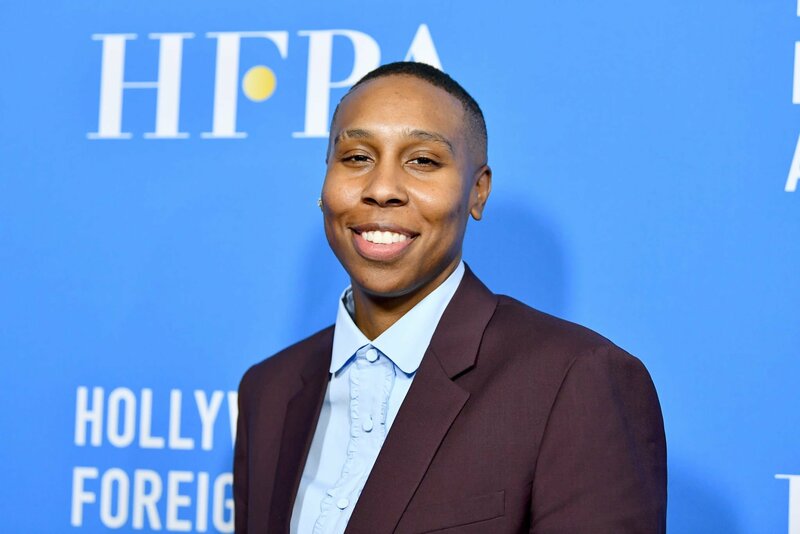 World-building – “As the scope opens up in the second season, we’ll see more [of the show’s world], but Westworld remains the center of our narrative. That’s the title of the show and that’s what we’re doing, so that will remain the center and heart of what we’re doing.” And this is the crux of the matter: while the showrunners thought it important to hint at the various corners of the room that Westworld exists in, those glimpses will only remain that – glimpses. Don’t expect to see much, if anything, of Samuraiworld next season. Homage – “The reason we went with the shogun, Imperial Japanese motif for that world is in large part because of the beautiful relationship you had between the golden age Westerns and the golden age samurai films; as soon as Akira Kurosawa would make a film, it would get remade with cowboys. The idea that those stories worked in two very distinct genres and languages, and the relationship between those genres, to me was irresistible as an homage to how Kurosawa was responsible for some of the greatest Westerns of all time.” Though perfectly self-explanatory, we’ll just add the observation that most, if not all, of the audience at home (ourselves included!) probably failed to grasp the finer points of this Westworld-Samuraiworld connection. Are you disappointed that we won’t be getting to spend any significant time in feudal Japan – or, for that matter, Medieval World or Roman World? Vent your feelings in the comments below. Concerned that the series will get stale stuck in the same landscape all the time. GoT had this change of scenery despite being a character-driven drama and it worked marvelously. Besides, I was really looking forward to seeing, even if briefly, the other possible worlds. I didn’t expect to see any other worlds in detail for the show… which is one of the concerns I have for it in the long run. Huh? So Nolan says Westworld will remain the center of the narrative (as expected), and you take from that we won’t see Samurai World? The very article you link to seems to contradict you, as does interviews where Lisa Joy shares her excitement about using Samurai World to further diversify the cast with more Asian actors (http://www.hollywoodreporter.com/live-feed/westworld-season-two-spoilers-jonathan-nolan-lisa-joy-interview-952762). Sorry, but how are we supposed to take this seriously as a fan site when you post fake headlines like this? Damn, you burned the author to a crisp lol, good point though.